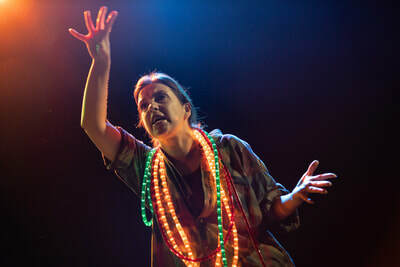 Produced by Soho Theatre (Fleabag, Touch, Half Breed, Spine) and Fishamble. Karen trained as an actor at RADA. 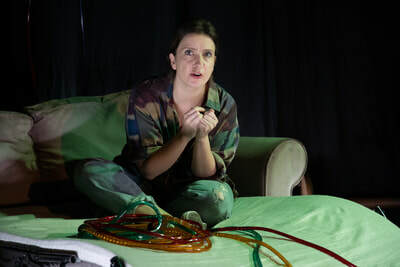 Her first play The Half of It won the prestigious Stewart Parker Award in 2018 after a sold out run in Dublin. 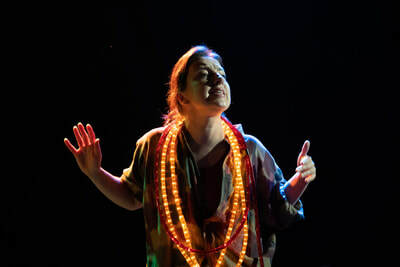 The Half of It was nominated for 5 Fringe Awards and won the First Fortnight Award. 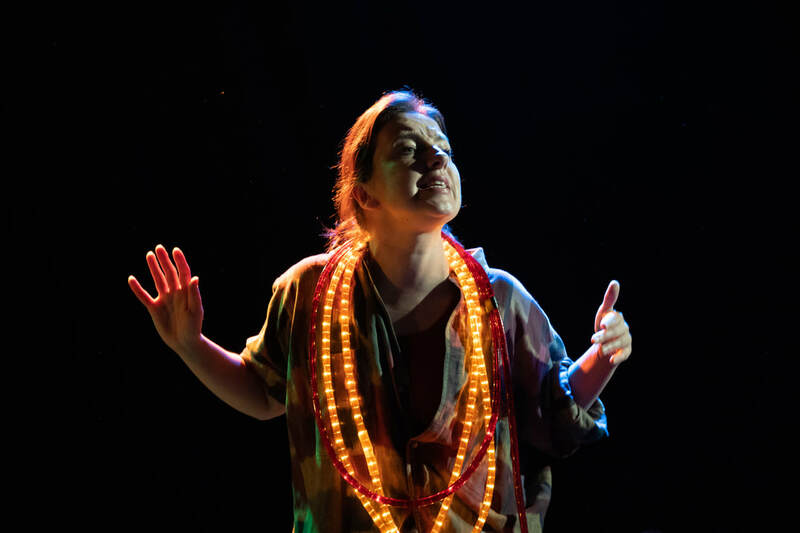 Karen’s second play Drip Feed was shortlisted for the Verity Bargate Award. She reached the top 6 of 1,200 submissions. Drip Feed will have its world premiere with the Soho Theatre in Edinburgh and London. Drip Feed has been optioned and commissioned for television development by Witchery Pictures. C’andle, her 6 part television series is in development with WARP Films. Karen has been shortlisted for the Red Planet Prize 2018 and the BBC Writers Room Drama Room 2019. She is RADA’s submission for the Adopt A Playwright Award 2018 and was shortlisted for the Award. 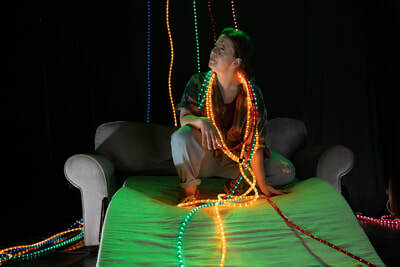 Karen is the Hospital Club Theatre and Performance Emerging Creative 2018/19. She was chosen for MAKE Theatremakers residency in the Tyrone Guthrie Centre alongside international mentors and theatre artists. Karen is one of the chosen playwrights for Fishamble’s A Play For Ireland initiative 2018/19. Composer and Sound Designer for Theatre, Radio and Film, including Spirit of the Fringe winning 'Heroin', Dublin Theatre Festival's 'The Game', The Shitstorm at the Abbey and winner of Best Production at Fringe 2017 'Not At Home'. Assistant label manager at RVNG, Beats in Space and Software in New York 2014-15. Completed a Masters in Music and Media Technologies at Trinity College Dublin and a Honours Degree in Visual Communications from the Dún Laoghaire Institute of Art, Design and Technology. Released and toured extensively as a DJ and producer over the past years under Frank B and Sias. Part of the Repeater collective, producing art and music in tandem physical formats, with complimentary events showcasing local artists.